If you guys get bored and need to see what I have been up to the last few years enjoy. You can like us on face book too, I don't know how to use facebook yet but I'll get her. Good work. Contractors most often put very little effort into that sort of thing but I think it will pay. Though we've given up for now, a few months back we had decided to move 60 miles down the road into more open country and build. In the end we never could find a piece of ground that wasn't covered with outlandish CCRs so we gave it up. In looking for a builder we finally found one after cruising neighborhoods and peeking in windows. They were retiring and taking no new work. Others I could tell from a lifetime in electrical construction didn't measure up plumb you know? The photos in our gallery would prompt negotiations thats for sure. Spec house looks great, what's the listing price? I also liked the bed option in the one home theatre in your pic gallery, makes me wonder what the owners favorite choice of media content might be lol. Smart move, I also refuse to buy anywhere that has any CCR's above the county/state/city requirements. There is always some *sshole in a neighborhood association that makes it his/her job to decide if everyone else is in compliance or not. If anyone wants to decide what I do or don't do with the property I paid for, they can buy it. There is always a price I'll sell it for! If only it were that easy. I have a friend who put a nice strip on his 15+ acre home parcel out in the stix. Always used the 'courtesy' approach and departure philosophy over the thruway end 2 times a year to store his Maule over the winter (he has a super nice double hangar at the local airport for his other planes). One prick neighbor a few homes down said he caused his old horse to have a nervous breakdown or something and petitioned the town board to have him shut it down. And the a$$hats did just that. 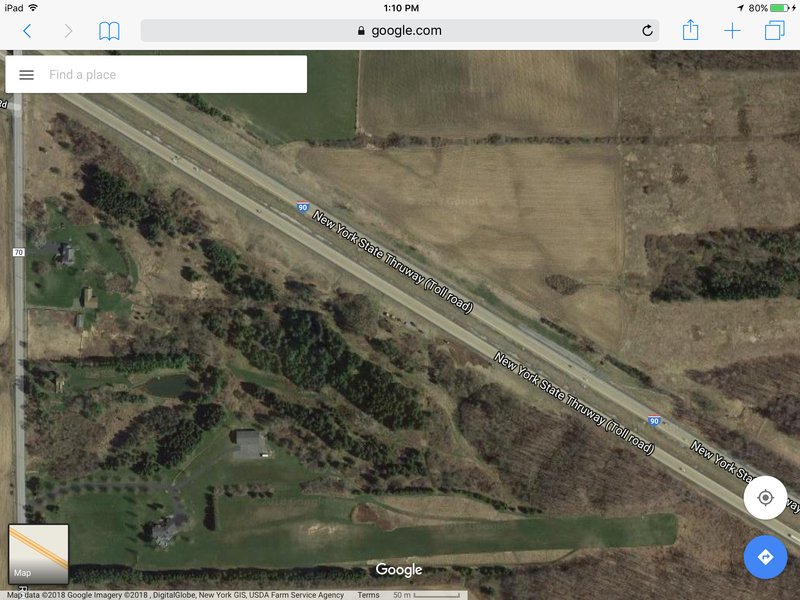 You can see the hose barn in the satellite pic, it isn't even anywhere near the flight path. A year later the horse dies and, armed with ok's from the other neighbors, friend petitions to reopen his strip. The ONLY person at the hearing to oppose was the horse prick who once again prevails. Fukin spineless little power is a dangerous thing nitwits on the part time appeals board refused. So he sold his property in a rather short but arms length transaction and now the town gets a whole lot less tax revenue from the parcel. TJ, the web site looks great, you are way ahead of your peers. If I was looking to build in Iowa, that web site would at least get you the opportunity to bid. Good site TJay - If I could, or would, move up to snow country, you would be first on my list.